Testbiotech, an independent environmental impact company, analyzed soil samples from fields in Argentina. The fields samples consist of soil from fields where genetically engineered soybeans resistant to glyphosate are grown. 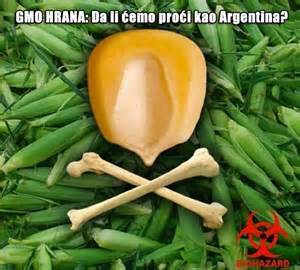 Nearly all the soybeans found in Argentina are genetically engineered and there are very few studies that examine the exact amount of herbicide residue found in plants before they are harvested. products used for food and feed. The results were confirmed in a second analysis. The company attributes the high level of glyphosate residue to the environmental weed resistance that has been formed due to the genetically resistant soy beans. Reports have been coming in on a global basis,including Argentina, of increasing weed resistance to herbicide with farmers having to apply a much higher dosage to obtain the same effect. Environmental reports have demonstrated the overwhelmingly negative impact of glyphosate on the rnvironment and rural communities. In addition of concern is the import of Genetically engineered products where the glyphosate residue contained in plants is at a dangerously high level, where these products are used in countries that don’t require labeling such as the U.S., where the average consumer cannot protect themselves from the possible devastating health consequences. ← Plant based nutritional intervention impacts on Alzheimers.